微小粒子对光的散射（Light Scattering by Small Particles）, H. C. van de Hulst, New York, Dover Publications, 1981, 470 p., ISBN 0-486-64228-3. ^ Cook, A. Hendrik Christoffel Van De Hulst Ridder in De Orde Van Nederlandse Leeuw. 19 November 1918 - 31 July 2000: Elected For.Mem.R.S. 1991. Biographical Memoirs of Fellows of the Royal Society. 2001, 47: 465. doi:10.1098/rsbm.2001.0028. 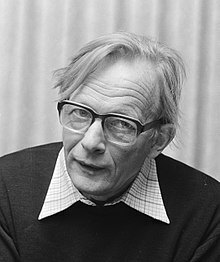 ^ Hendrik Christoffel van de Hulst (1918 - 2000). Royal Netherlands Academy of Arts and Sciences. [28 July 2015]. ^ Past Winners of the Catherine Wolfe Bruce Gold Medal. Astronomical Society of the Pacific. [24 February 2011]. Tenn, Joe. Hendrik Christoffel van de Hulst. Sonoma State University. [5 January 2007].